Animal genetics market leader Hendrix Genetics and salmon producer Salmones Aysen have announced the signing of a Genetic Service Agreement. With this agreement in place, Hendrix Genetics will stimulate the Coho salmon breeding and genetics program to advance product performance for the Chilean market. Hendrix Genetics, a NPM Capital portfolio company, will direct the program and will integrate innovative technologies, such as genomic selection. In addition, Hendrix Genetics will support broodstock and egg production management and will analyze data collected from breeding and processing. The partnership will allow Salmones Aysen to tap into the expertise and resources of a global, multi-species breeding company. This partnership is a natural complement to Hendrix Genetics’ owned Atlantic salmon breeding and egg production operations in Chile. The Atlantic salmon operations serve a growing demand for eggs based on high health status, proven commercial performance and year-round availability. Hendrix Genetics, headquartered in the Netherlands, is a leading company in the fields of animal genetics. It has a multi-species focus, with core activities in the breeding of layers, turkeys, guinea fowl, pigs, salmon, trout and shrimp. Backed by a strong portfolio of leading brands, Hendrix Genetics provides expertise and resources to producers in more than 100 countries, with operations and joint ventures in 25 countries and nearly 3,400 employees worldwide. Hendrix Genetics is developing an increasing global presence in aquaculture breeding having been a pioneer in the development of genetic and genomic technologies since the 1990’s, with Atlantic salmon breeding and egg production operations in Scotland and Chile under the brand name Landcatch, trout breeding and egg production operations in the USA, Chile and UK under the brand name Troutlodge, and shrimp breeding operations in Hawaii, Malaysia and Ecuador under the brand name Kona Bay. Salmones Aysen is one of the largest dedicated Coho salmon producers in Chile, with a reputation for quality production and premium branded products. It has offices in Chile (Santiago and Puerto Montt), Japan (Tokyo) and USA (Seattle). Through a team of seasoned professionals in the salmon industry, Salmones Aysen controls every stage of the productive chain, guaranteeing the highest quality standards demanded by different markets around the world. First and long-time investor Amerborgh sells a part of its stake in Ohpen to NPM Capital that upon the transaction will have a 35% stake in Ohpen. Amerborgh wanted to sell this stake to finance ongoing and future projects, like the arts and culture centre ‘het HEM’ in Zaandam, the Netherlands. Ohpen is a fast-growing Fintech company. The Ohpen SaaS, cloud native core banking platform administers retail investment and savings accounts for banks and other financial institutions. Ohpen is the world’s first cloud native core banking provider and became a market leader in the Dutch midsize banking market over the past few years. In the near future, Ohpen will extend its services to large banks and the pension market. Ohpen is the first SaaS core banking engine in the world that runs entirely in the cloud. Ohpen liberates its customers from their legacy systems, making them more flexible, safe, scalable and compliant. Founded in 2009 by a team of experienced bankers and software developers, the Ohpen platform administers savings and investment accounts for clients such as Aegon, Nationale-Nederlanden, Volksbank and other banks, investment institutions and insurers. The company employs over 120 people in the Netherlands and Spain. 18 April 2019. Hg today announces that Hg Saturn and its investors have agreed to a further c.€640 million equity investment in Visma, a leading provider of business-critical software to private and public enterprises in the Nordic, Benelux and Baltic regions. The Canada Pension Plan Investment Board (CPPIB) will also make a further investment of c.€110 million in Visma as part of this transaction. Hg is already the majority owner of Visma, having led the original delisting of Visma from the Oslo Stock Exchange in 2006. Hg has been the lead or co-lead investor in Visma for the last 13 years. Cinven, who first invested in Visma in 2014, sold part of its stake to Hg and co-investors in 2017 and is now selling the entirety of its remaining shareholding in Visma as part of this transaction. The transaction values Visma at an enterprise value of over €6.5 billion. Hg is Europe’s largest investor in private software business and has supported Visma’s management to build a world-class company through several stages of growth and innovation since 2006. Most importantly Visma management, backed by Hg, started to invest in cloud and Software-as-a-Service (SaaS) in 2009. This early investment has given Visma a significant competitive advantage, having transitioned, over the last decade, from a largely on-premise software provider to being Europe’s largest provider of cloud-delivered SaaS to businesses. Today Visma has over $1billion of SaaS revenues delivered to more than 500,000 customers, with over 70% of Visma’s revenues coming from cloud-delivered SaaS products or services. During Hg’s ownership period over the last 13 years, Visma’s world-class management team has delivered consistent revenue and profit growth of more than 20% per year, evolving from a business valued at under €450 million in 2006 into one valued at over €6.5 billion today. Following completion of the transaction, Hg’s managed funds will own c.63% of Visma, alongside other significant co-investors including GIC, ICG, Montagu and CPPIB. This investment re-enforces Hg’s position as Europe’s leading software investor. Hg has led over 40 “platform” software investments and more than 200 bolt-on acquisitions, delivering industry-leading investment returns to its investors. Successful software/SaaS investments include: Addison Software, Allocate Software, Computer Software Group, IRIS Software, P&I, RAET, Sequel, Sovos and over 30 others. International private equity firm Cinven today announces that it has agreed to sell its remaining stake in Visma (‘the Group’) to Hg and Canada Pension Plan Investment Board for an undisclosed consideration. This transaction represents Cinven’s final realisation of Visma, following its partial realisation to an Hg-led consortium in June 2017. Visma is a leading provider of business-critical software including accounting, tax and payroll applications to small and medium sized enterprises (‘SMEs’), retailers and local authorities across the Nordic, Benelux and Baltic regions. Cinven’s TMT team identified Visma as an attractive investment opportunity given its market leading position in the Nordic region, delivery of mission-critical software to a wide customer base, subscription model with high recurring revenues and significant growth potential as customers migrate their legacy ‘on premise’ software applications to online cloud-based applications. Having followed Visma since 2008, Cinven ultimately invested in Visma in 2014. Rationalising the Group through the sale of non-core divisions, including Visma’s Hosting business, BPO business and certain divisions within its Retail business. The successful realisation of Visma reinforces Cinven’s strong TMT track record, with recent realisations including Ufinet Group, HEG and Numericable. Alongside these successful realisations, Cinven’s TMT team has continued to actively invest in the sector, with recent acquisitions including RTB House, One.com, Ufinet International and Allegro. Completion of the transaction is expected to take place in Q2 2019. Cinven was advised on this transaction by Freshfields. operation and remains a shareholder. Bernard Chevalier hands over the management to Guillaume Bouillot, a software entrepreneur. sector, with its Mobiserv solution. acquisitions to complete its offer. With this transaction, Activa Capital is making the 9th investment of its latest fund, Activa Capital Fund III. companies that are at a turning point in their growth to help them accelerate their development”. healthcare policies that we are addressing with Capital Santé 2”. Santé 2, Turenne Santé supports healthcare companies in their development and transmission challenges. As an independent private equity player in France, the Turenne Capital group manages more than €1 billion. new technology, distribution and innovative services sectors. The acquisition reinforces Nordic Capital’s leading position in the Northern European Technology & Payments sectorNordic Capital Fund IX (“Nordic Capital”) today announced the acquisition of Signicat, a high-growth provider of digital identity and signature solutions that operates the leading digital identity hub in the market. 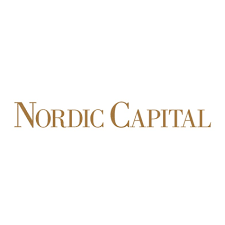 Nordic Capital will, in close partnership with the company’s management and existing shareholder Viking Venture, accelerate Signicat’s international expansion and strengthen the company’s market leading position and unique product offering.